Save by bundling your accommodations and flights. Expedia has heaps of outstanding Rouge vacation packages that'll save time and give you more cash to splash! Gain savings of as much as C$590* by booking a package deal on Expedia. Our comprehensive database allows you to research more than 321,000 properties worldwide and 400 partner airlines. With such a broad range of options, arranging your dream vacation will be a breeze! Rest assured that you may cancel almost any reservation and you won't pay a cancellation fee to us. We have all the sizzling hot sightseeing tips for your impending trip to Rouge. Grab your planner and get ready to start working on your itinerary. Pack a sandwich and go to Lake Suurjarv, a lovely destination where you can take it easy by the tranquil waters. Travelers have a great range of options in and around this destination. Of all the roads you choose in life, make sure at least a few are made of dirt! So dust off those boots, replenish your water bottle and enjoy hiking Hiking Trail in the Rouge Primeval Valley. Still got some time to spare? If you're in the mood for some spiritual enlightenment, call in to St. Mary's Church. Who knows, you might even glimpse the answers to one or two of life's greatest questions! 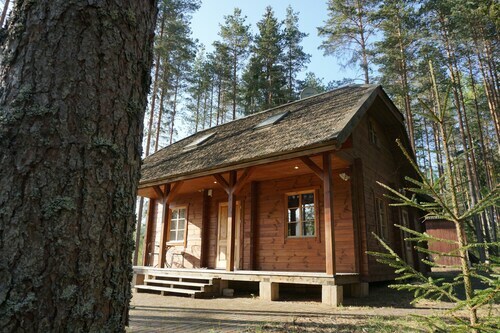 As there aren't any Rouge properties that are listed with Expedia, a good alternative is to stay in Tõutsi, which is situated around 25 miles (40 km) away. 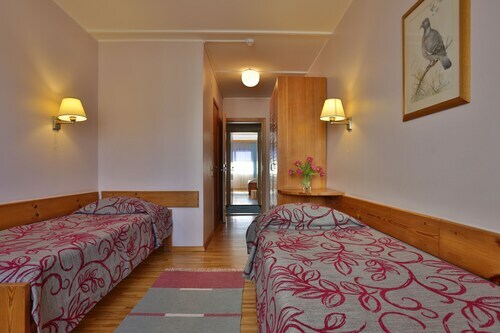 The GMP Clubhotel Apartments and Pühajärve Spa & Holiday Resort are among the most popular options in Tõutsi. Make your way through the security gate, board the plane, stow your bags in the overhead locker and settle in for the flight! Your trip to Rouge isn't too far away. After the wheels touch the ground at Tartu Airport (TAY), you'll find yourself approximately 40 miles (64 km) from all the action of the main streets. Situated near the beach, this hotel is within a 10-minute walk of Dr. Fr. R. Kreutzwald Memorial Museum, Kreutzwalkdi Park, and Voru County Museum. Ruins of the Vana Vastseliina Castle and Otepaa St Mary’s Lutheran Church are also within 32 mi (52 km). Situated in Markalne, this vacation home is within 32 mi (52 km) of Ruins of the Vana Vastseliina Castle, Dr. Fr. R. Kreutzwald Memorial Museum, and Kreutzwalkdi Park. Voru County Museum is 31 mi (49.9 km) away. 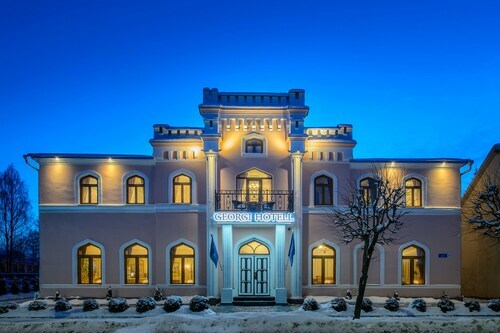 Set in Põlva, this family-friendly hotel is within 20 mi (32 km) of Voru County Museum, Kreutzwalkdi Park, and Dr. Fr. R. Kreutzwald Memorial Museum. Tehvandi Sport Centre and Otepaa St Mary’s Lutheran Church are also within 25 mi (40 km). This hostel is in Valga.